The Auckland Plan (The Auckland Spatial Plan) is the master document that controls all other documents set by Auckland Council. 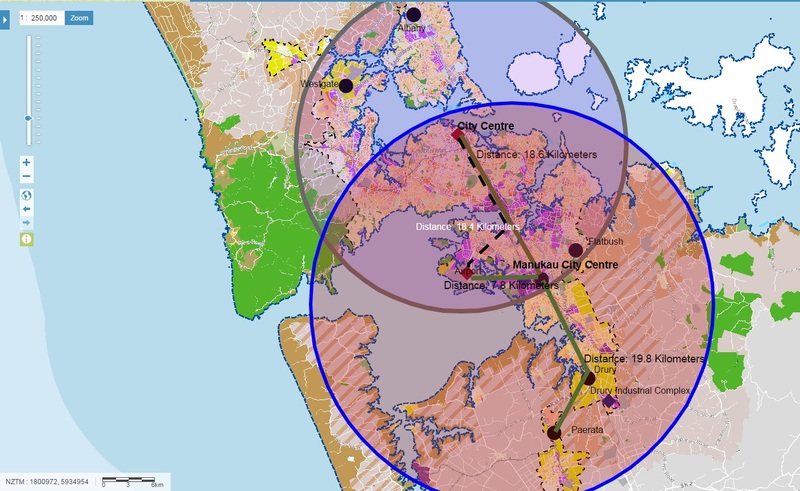 Whatever the vision, goals, context and deliverables are set in the Auckland Plan the Unitary Plan, Long Term Plans, and Annual Plans must follow in execution. Subsequently given a City evolves to an ever-changing world environment updates become inevitable. The Unitary Plan is updated once a decade while the Auckland Plan is updated at more regular intervals. Since 2012 when the Auckland Plan went operative the environment certainly has changed for Auckland as a whole. So while legislation does stipulate the Auckland Plan undergo its first refresh now we do have two very acute situations in play. Population growth has continued to outstrip projections included in both the last LTP and ATAP. This has contributed to additional pressure on the transport network through added congestion, significant pressure on housing and, for council, on the supply of infrastructure to support new housing development. Work on the Future Urban Land Supply Strategy has also identified close to $20 billion of investment (including state highways) required over the next 30 years just to service greenfield development. 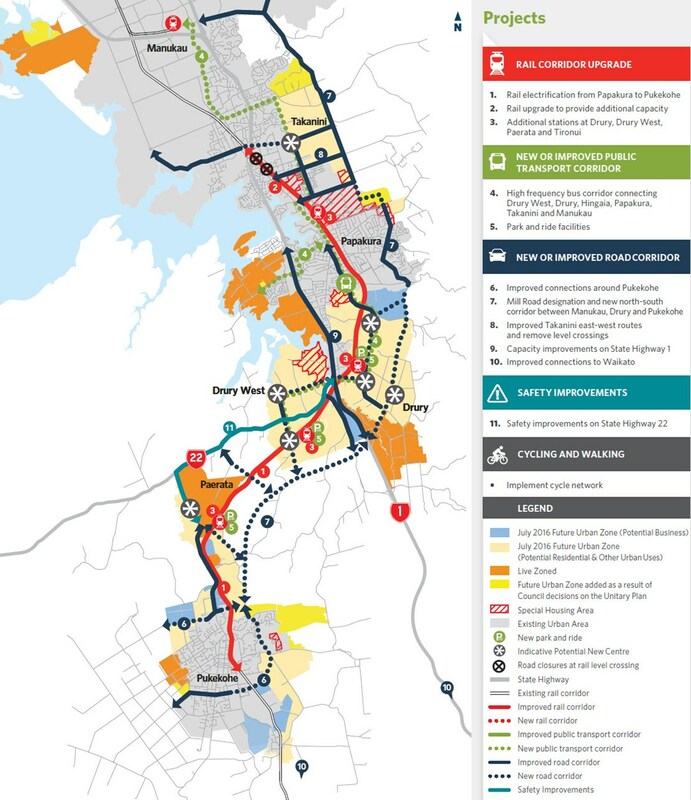 So population growth has exceeded the High Growth trajectory and we have acute transport issues in four key areas, acute enough that the Auckland Transport Alignment Project (nine months old) has already gone out of date. Advocate group Greater Auckland did comment that the entire situation means things are a bit faster and while true as I have noted before it is crunch time for authorities. Crunch time when the price tag just to get us out of housing and infrastructure deficit levels in Southern Auckland is $4.25b over the next seven years (see: #Budget2017 Auckland Redux: Growth Needs Support of the Government Rather Than Government Being Allergic to that Support). The Auckland Plan is now up for its first refresh. 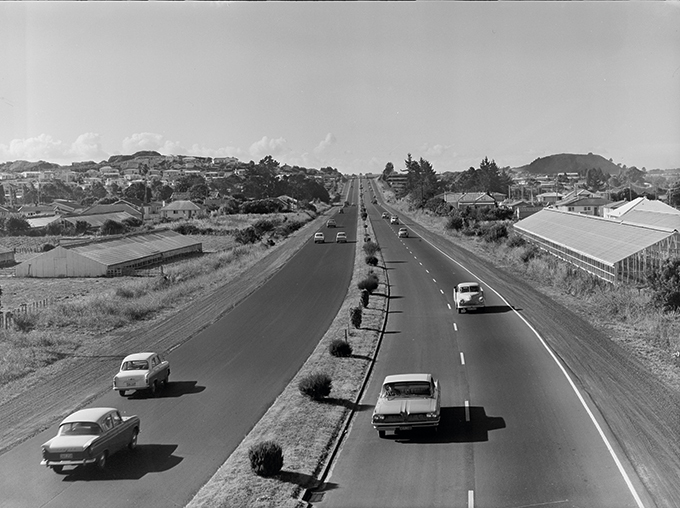 The Planning Department has been given instructions from the Planning Committee of Auckland Council to set about providing what essentially is an MK2 version of the Plan. The MK2 version needs to be all ready to go by the Long Term Plan 2018 is up and running (July 1, 2018). And so the Committee, planners, and Council Controlled Organisations have been busy in workshops setting up the Refresh for the first round of engagement. I could talk about workshop participation given less than ten Councillors have a tendency to show up to each one but that is for another day. But what I will talk about is the first round of engagement that has gone out to stakeholders. If you are wondering when an Auckland wide consultation goes out that will be in February-March next year. 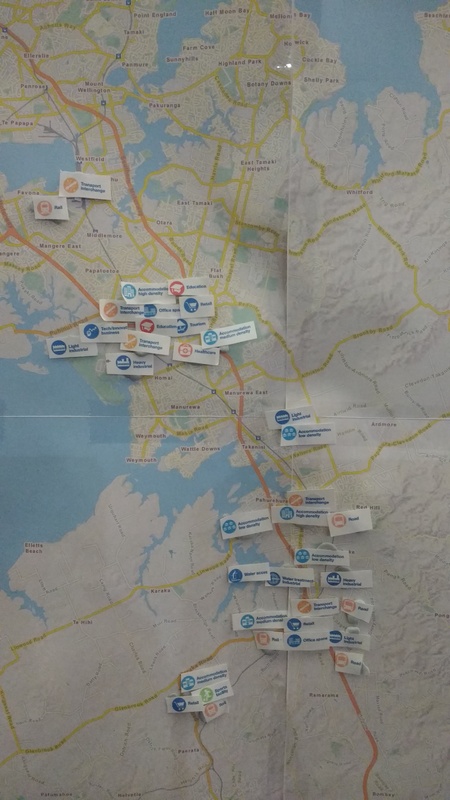 Currently there is targeted engagement on the first step of the Auckland Plan Refresh. What Council is looking at is whether they have actually identified the issues correctly and if so what they would like to focus on in the Auckland Plan MK2. Now I have managed to get a hold of the early Stakeholder Engagement material from the Memos section of the June Planning Committee so it is all in the public domain already. It is the High-level Development Strategy that is being looked at given it influences everything else. So what is that Development Strategy? Given the Local Boards are due to be formally consulted on the Auckland Plan Refresh in November (if the work stream does not fall behind) if you are like me and want to send in your thoughts to the above Stage One Consultation document then I would send it to your Local Board. If you do make sure you clearly state that your feedback is to the Auckland Plan Refresh and for the Local Board’s consideration when they are consulted later this year. Don’t forget you will have a chance to submit in any case next year. So do you think Council is heading in the right direction? Hi Ben..I hope you are well. Good comments. If the population grow this outstripping the Council predicted population rates used in the Unitary Plan, then the Unitary Plan will have to be urgently revisited to accommodate this growth via significant rezoning / up zoning / additional height Plan Changes asap? For the record to my knowledge, the actual building uptake rate for residential areas over the 25 years of the Unitary Plan is only 43% – 50%. So, to accommodate an extra 425,000 people as the Panel where required to do, the AUP rezoning should have been for an extra 850,000 people ? Has the Council got that appetite to help Auckland grow so soon after the AUP has been released ? Thanks for the comment. In regards to the Unitary Plan we know Judge Kirkpatrick and the Independent Hearings Panel allowed for residential capacity of 422,000 up from 400,000 originally set in the Auckland Plan 2012. I believe this allowed for some increased surges in population growth that was modelled in Topic 013 – Urban Growth and caused a lot of heartache. Two things we have to realise as well: The Auckland Plan was set to 2006 Census Data and the Unitary Plan most likely 2013 Census data and interim data from Statistics New Zealand (like migration). The next Census is next year but the Auckland Plan MK2 will be operative by then (seems we are going to miss the boat). I believe the uptake for residential areas is at 50% without Government intervention via Housing NZ. This means we automatically run into shortage of land beyond what the Unitary Plan had laid out (as feasible capacity). How to handle this? Upzoning is going to need to be done with more Mixed Housing Urban Zone needed as a start given this is where the most demand is sitting and developers/HNZ are quite happy to build to the maximum extent the zone allows before hitting Non Complying status. After that we need to go back to our Metropolitan Centres that I feel have been forgotten about. If they are set up properly then the surrounding Terraced Housing and Apartment Zones would kick in better and more developments like the one near Takapuna Metro Centre. Effectively I suppose what I am looking at is getting that uptake more towards 100% of a given zone while rezoning more towards MHU to give better bang for buck. As for the AUP rezoning towards 850,000? I am afraid I couldnt answer that right now until the Auckland Plan MK2 goes live next year as the entire process will be influenced by the reworked Development Strategy. As for the Council having the appetite to help Auckland grow so soon after the UP went operative last year? Wouldnt say appetite but more it has entered a state of possum caught in the headlights syndrome and that is a dangerous place to be.